In the present study, an analytical formula to estimate natural frequencies of a simply supported double-beam system in the presence of open crack is derived. Euler–Bernoulli hypothesis was applied to beams, and Winkler model was used for inner layer. Material properties and cross section geometry of beams could be arbitrary and different from each other. To obtain natural frequencies, Eigenvalue problem solving finally yields an algebraic equation which must be solved numerically and does not show effects of different damage parameters in the explicit form. In this regard, Rayleigh method was applied to derive explicit formulation for natural frequencies. In the case of crack occurrence, the mode shapes of intact beam were modified by adding cubic polynomial functions to represent crack effect. The unknown coefficients of polynomial functions were calculated by using boundary conditions of the system and compatibility conditions at the crack section. Using the obtained admissible functions and Rayleigh method, an explicit formulation was achieved for natural frequencies. The problem one more time was solved using the differential transform method to approve the accuracy of the analytical formulation for the cracked double-beam system. Comparison of analytical and numerical results indicates good accuracy of derived formulation for natural frequencies of the cracked double-beam system. 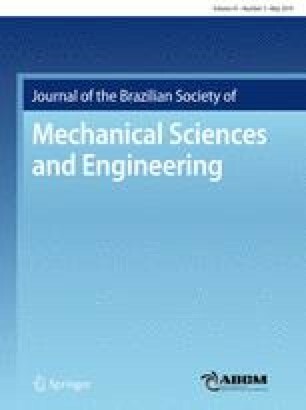 Technical Editor: Wallace Moreira Bessa, D.Sc.